Have you ever shared your photos on social media only to realize they appear completely different on your phone than they did on your computer? Here is a detailed video showing why calibration is necessary by comparing the same photo on three different monitors. In this video, Ed Gregory of Photos in Color runs a simple monitor test to highlight the importance of having a screen calibrated properly. This test had two primary functions. First, Gregory wanted to see how different each of his monitors were. To check this, he placed each of them side by side and had the same image displayed on them. The results were more extreme than I expected, as each of them looked very different in brightness and in color. The second step of the test was to see how accurate a calibrator would be in correcting the issue. Again, the results were surprising. In the end, three very different monitors were matched perfectly using Datacolor’s Spyder5 calibration system. In my opinion, a properly calibrated monitor is critical. Getting this right is one of the first steps you should take as a photographer, even if you are new to the craft. It will make all the difference to have consistency when sharing to social media and when producing physical prints. To see the test and the importance of a calibrated screen, view the video above. Save yourself some money and do a 1-day rental of the ColorMunki for $30. Once you get in the ballpark, you're good to go for years. Don't kid yourself that you need constant recalibration unless you are doing some high-end print stuff for big money. Exactly, I'd also add that if your photos are only ever published online and never printed, you may be better off just leaving the display uncalibrated as it will be a better reflection of what the audience will see who mostly also won't calibrate their screens. Agreed. I used to do calibration and profiling once a month. Over time I noticed the results were always the same, so I switched to once a quarter. There is very little evidence of any drift in results (the i1Display Pro software records results for trending over time, very useful). There is a myth that if the audience out there don't calibrate their screens the why should we? Reality is that non calibrated screens can be a bit warm or a bit cool, a bit dark or a bit light... So we need to be sure that our monitors are spot on so that on average we're in the middle of that range. If our monitors aren't calibrated, then we don't know what our adjustments are actually doing at all. Maybe our monitor is a bit warm and the audience monitor is a bit cool - now we have double the error when they view. And monitors need calibrating regularly. Some monitors will drift over the course of just one day. If we care about how our images look then it doesn't matter whether it is for a high paying job or for commercial use. We care about our focus, how many pixels we have, whether there is noise in lifted shadows... but when it comes to whether we're judging a picture correctly we oft hear the clamour of "it doesn't matter". I have an Eizo CG2420 which is famed for it's stability. I still calibrate before every important edit and wouldn't dream of risking any other way. 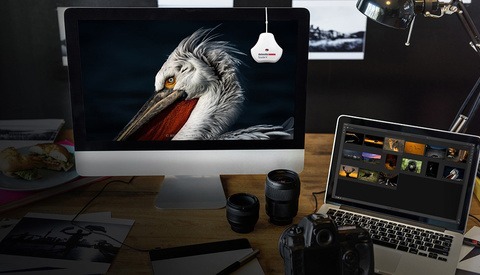 In this respect I use the i-1 Pro as I find it more accurate than the built in Eizo unit, (although I have recently calibrated the Eizo device to simulate the i-1 Pro and it is now indistinguishable to my eyes). Yeah but I’m guessing not in any amount that matters much in the span of a few years. Ballpark I agree is helpful, but being perfect doesn’t matter when the person on the other end isn’t perfect either. I disagree but understand what you’re saying. If you deal with a press houses, you do need to calibrate, however you need to use the same calibration tools the press house uses. Some places are X-Rite, some Datacolor, some more proprietary systems. Which lets you realize there is no real standard, so pick whatever floats your boat if the above doesn't apply to you. I agree that generally the calibration will hold. The regular calibration practice is a holdover from CRT monitor era, and CRTs would indeed drift. I would imagine lesser quality modern panels may benefit from it, but mid- to high-end monitors will hold much longer. ...I should also add that when dealing with press houses you may also want to opt to have the same monitors, budgets allowing, some of which have their own proprietary calibration systems. Measuring the brightness level of their viewing environment and replicating it is the cherry on top. I know this isn't always possible. Working with press houses is something that I have done twice since I started shooting digital in 2001? Printing companies have dedicated people and equipment for this task. I really doubt they will trust random photographer's files to be calibrated to their system. They will tweak any files to match their system. The files I think are calibrated tom my system my or may not be calibrated to their system. Depends on what relation with the printer and quantity of output you do. I work in one environment where we have a fairly close relation with the printer and are regularly printing with them. For any print job that I have worked on where color accuracy was a concern we always go to a press check at the printing facility (I'm speaking as a marketing project manger here, not as a photographer). You can have a perfectly calibrated monitor and perfectly colored artwork, but that doesn't mean the pressman will print what you are expecting. You have to see it in person and ask for tweaks. Well we have regular runs of proofs to monitor the color as it will print, but soft proofing is done in-between the proof runs. That's why it's important to have a calibration like the printers are using if at all possible. The proof runs are limited and only cover some of the images also. If there is no real standard (or just no standard, period) then you're not really calibrating and the process shouldn't be called calibration. the standard for calibration is D65, gamma 2.2 and 120 cd/m2.. The CIE Standard Illuminant D65 is the industry reference standard in the published standards ISO 3668, ASTM 1729 and DIN 6173-2 for the visual matching of coloured materials, surfaces, and finishes. Among other uses, D65 is employed by manufacturing industries for colour standards and samples testing in applications ranging from automotive accessories and interior parts, to colour-sorting of spare parts and food quality inspections. As colour is pervasive. You're essentially correct but in certain environments you're going to need to swing a monitor in a general direction. I think we need to be careful about referring to monitor profiling as calibration. I know you can't have one without the other and in order to work from a reliable base, one first needs to calibrate a monitor and then profile it. They are two very distinct and separate processes although both are equally important in a fully colour managed workflow. Yes but calibration merely swings you in the proper direction if your monitor and your printer/client/etc. monitor is going to be different from yours. That's what I meant. 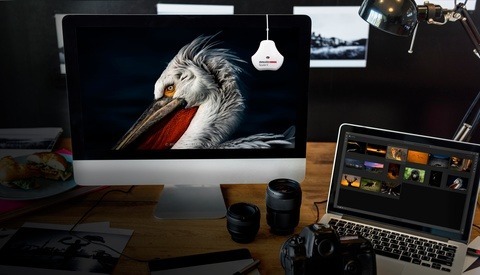 if you print your photos, only thing that u need is calibrating your printer with your monitor. 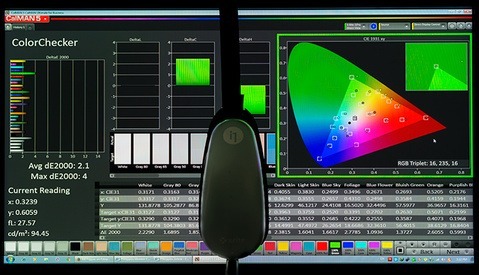 print a color chart and calibrate monitor with that only. (watch the color chart in your monitor and printed color chart) it's easy and cheap and efficient. In that respect you may be correcting errors with different errors. We want our images to print correctky anywhere, and our electronic images to be delivered accurately. Best way is to calibrate the monitor accurately and then as a separate exercise, profile the printer for speciific paper / ink. Small additionto this is that I've had profiles made by two repuatble companies, each using the same hardware/software, and I still get slightly differnt profile results. (Differences can be due to a number of tiny procedural issues). So I fine tune the printer profiles if needed with an ancient .icc editor for tiny tweaks - but only because I know I can trust a carefully calibrated monitor and viewing area. Way more of a sales pitch on Spyder than what I hoping to get out of this video... Video could have been cut in half with the same amount of pertinent information. Personally, I think people are better off investing in an X-Rite solution (i1Display Pro). Alas, the video makes no distinction between calibration and profiling, despite the fact that they are two entirely different things (and the difference is important). You can't really have one without the other, so maybe that's why people incorrectly refer to it as monitor calibration (in the same way post-processing is incorrectly referred to as "editing" I guess). BTW! never buy a Spyder! they are not accurate at all..